Dwayne Blackaller on stage in A Nighttime Survival Guide. He co-starred in and co-wrote this play that drew the largest audience in BCT's history. That wasn’t entirely fair since Blackaller co-wrote that play with BCT artistic director Matthew Cameron Clark. It’s Blackaller and Clark who have teamed up again to write this new play called The Uncanny Valley. I was so impressed with Survival Guide I wanted to know how these two create and if they can recreate their last success. But The Uncanny Valley is very much a work in progress. Listen to Clark and Blackaller talk about the fear created by a full house and a partial play. 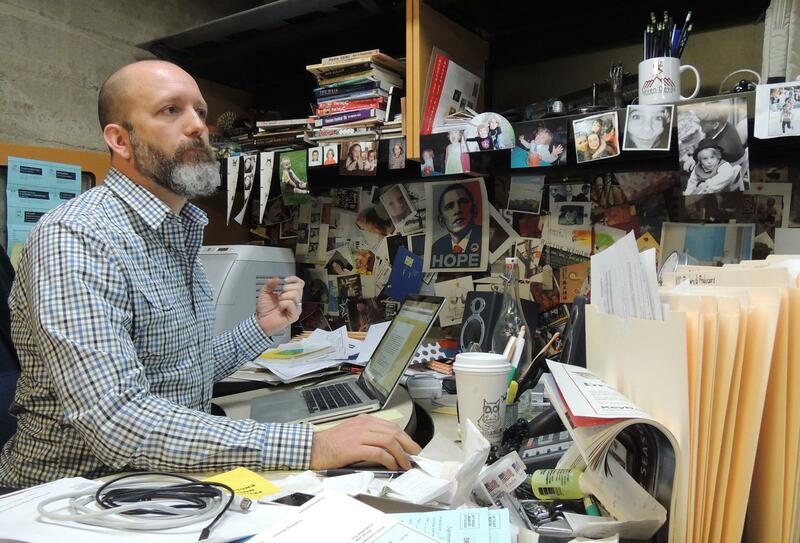 Matthew Cameron Clark's workspace might be described as creative chaos. The Uncanny Valley takes place in an artist’s retreat in Idaho’s Sawtooth Mountains. It’s about the artist who has been commissioned to live and work there and her conflict with the family who owns the retreat. Oh, and robots. Clark says this is a different play than Survival Guide which was a show for the whole family. The Uncanny Valley is for adults and deals with mature themes. Graphic Depictions is a new play that opens Wednesday at Boise Contemporary Theater (BCT.) 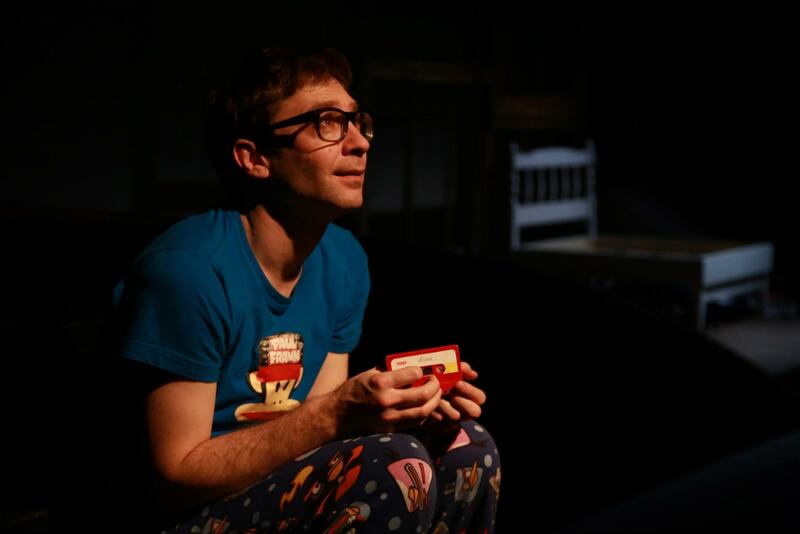 Cleveland based playwright Eric Coble created this one-character show. Coble tends to speak in metaphors. Ask him why a nationally known playwright would premier new work at Boise Contemporary Theater. He calls a premier a birth. Audio Postcard: Idaho Shakespeare Festival Opens Blood-Soaked Musical "Sweeney Todd"
This summer, more than 60,000 people are expected to see a play at the Idaho Shakespeare Festival. Of the five plays this season, perhaps the most anticipated is "Sweeney Todd". This blood-drenched murder musical by Stephen Sondheim shocked audiences when it debuted more than 30 years ago. It’s had a large and loyal audience ever since, and in 2007 director Tim Burton made a movie version starring Johnny Depp. This is not the Shakespeare Festival’s first dance with Sondheim but it is its first time with "Sweeney Todd". The Idaho Shakespeare Festival opens its 2013 season this weekend. The organization “Americans for the Arts” estimates the festival put about $3.3 million into Idaho’s economy last year. More than 58,000 people spent an evening under the stars at the festival’s amphitheater in Boise last summer. Managers expect more than 60,000 this year.